WHITE PLAINS THE saga of Tony Burrows, Roger Greenaway, session men et al. continues with WHITE PLAINS, the group which bounded up the chart with the (yes here they come again) Roger Greenaway and Roger Cook song "My Baby Loves Lovin'". It's all a bit confusing, even for the press people at Decca, the group's label, where they admit they can't keep track of what's going on in the group. 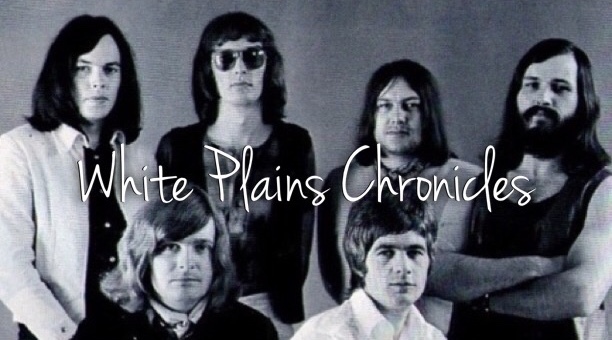 To start at the beginning, White Plains emerged last August out of the Flowerpot Men--remember their "Let's Go To San Francisco" flower power smash. Tony Burrows, Peter Nelson and Robin Shaw were members of that group, bringing in Roger Greenaway when they changed their name and made "My Baby Loves Lovin'." Happy New Year! The first of our 1970 singles is by a group called WHITE PLAINS, and it's a number written and produced by Roger Greenaway and Roger Cook, titled 'My baby loves lovin'. It's a tremendous catchy tune with nicely interwoven vocal harmonies and a super arrangement -- a very lively and wideawake sound. It's on Deram, and the number is DM 280.